Cretes worldwide known beaches for your eyes only! 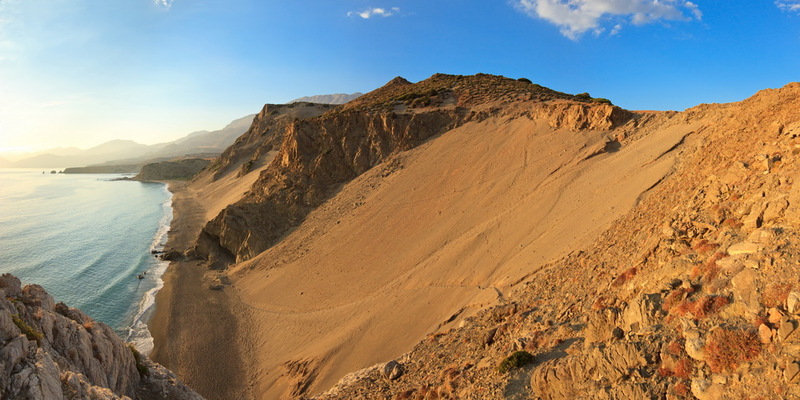 Crete literally offers every type of beach imaginable. White crystal sands, golden sands, smooth pebbles, rocky fjord-like coves, coarse sand comprised of tiny shells… Do you long for a sandy beach at the base of forested slopes? White sands and rolling dunes? Beach bars and water sports? 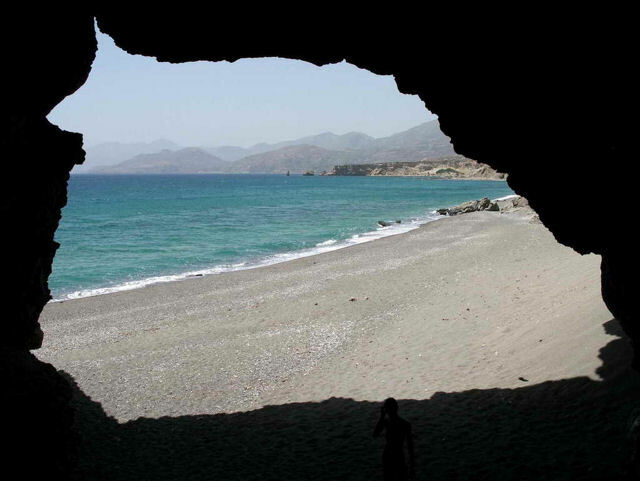 Whatever your ideal beach may be you can be sure to find it on Crete! Some beaches can only be reached by boat or by a significant hike so it really depends on what your interests are and where you stay what beaches will be best for you. Below you will find some recommendations but be sure to ask your hotelier for their opinion as well. 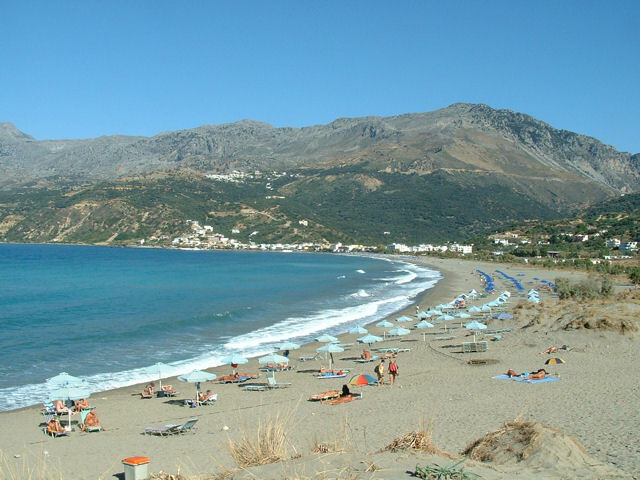 There are probably 40 beaches along the Lasithi coastline for you to choose from. 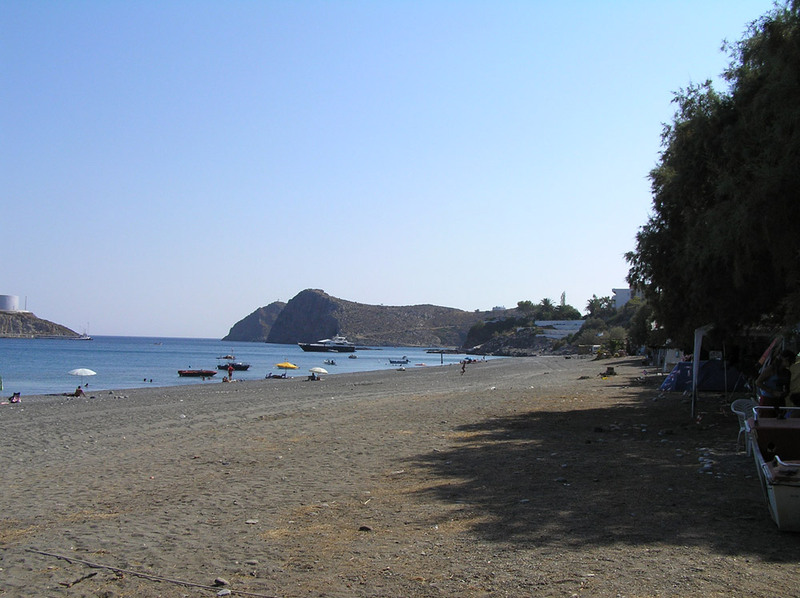 The area around Elounda offers several nice beaches, sheltered from the prevailing north westerlies of the summer months. 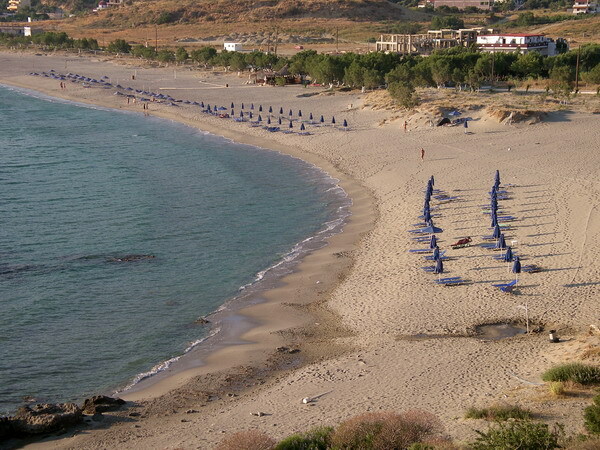 Plaka beach is not as crowded as the beaches closer to Elounda or in and around Agios Nikolaos. Wherever you may decide to stay in Lassithi however a visit to VAI is definitely worth the trip. You can arrange transport by coach, or rent a car and drive yourself. 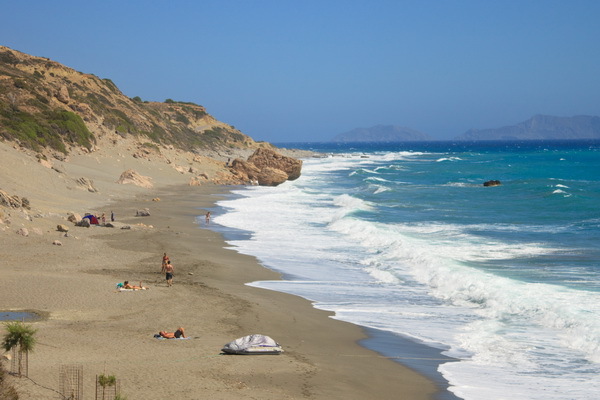 A bit further down the road you will encounter Palaiokastro beach, very popular with windsurfers and kite boarders. The remote Minoan Palace of Kato Zakro offers a pebble beach with crystal clear water and the imposing Gorge of the Dead. It is quite far from all population centers so it is recommended to overnight there. The southern coast of Lassithi also offer many beaches, primarily small, but the islets off the coast, Chrissi/Gaidaronissi and Koufonissi are stunning each in its own unique way, and there are daily boat trips. You certainly won’t regret a visit to either of them. 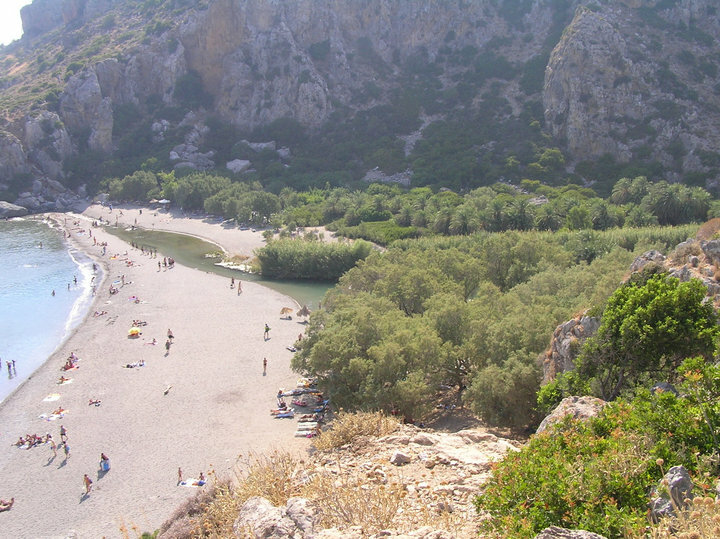 The official count is around 35 beaches in the Heraklion prefecture. The northern coast offers a number of large sandy beaches with facilities and water sports, beach bars and clubs. The most popular are Fodele (near the village of the famous painter El Greco), Agia Pelagia, Ammoudara with loads of beach bars and water sports, Karteros, Chersonissos Stalis and Malia. 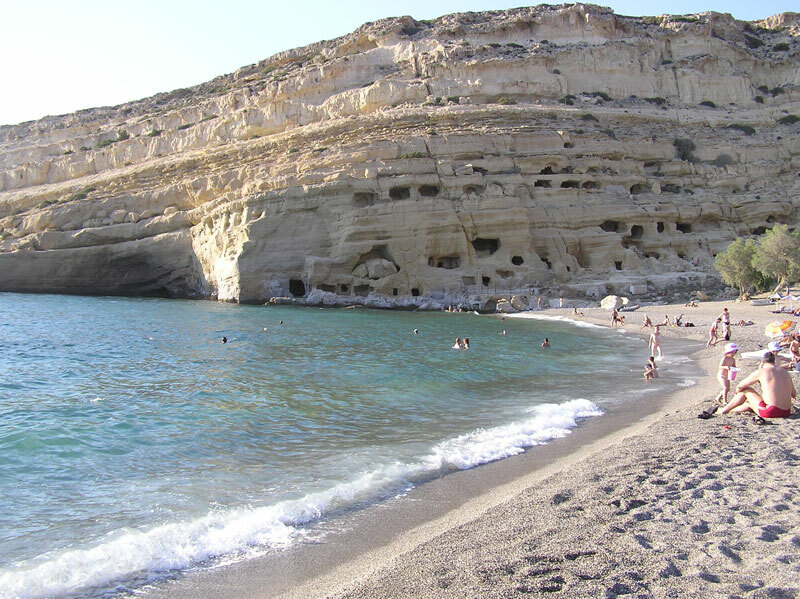 The southern coast offers many more some more remote than others, but the most famous by far is Matala, with its Roman era caves carved into the sandstone cliffs. If you rent a car then the beaches of Kommos, Kali Limenes, Psili Ammos, Agios Nikitas and Maridaki are recommended for those who want to get away from the crowds. Ask your hotelier for their recommendations as local beach conditions can change suddenly due to development of an area or road works. 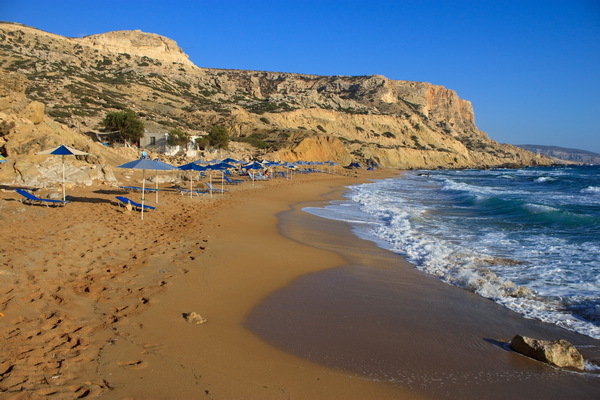 Though this region does not offer as many, only around 20, the northern coast of Rethymno offers one of the island’s longest and broadest sandy beaches, the 12km Rethymno Beach. This beach is very developed for tourism and every imaginable beach activity, even horse-riding towards the eastern end. By contrast the small resort town of Bali offers quiet relaxation in a quaint environment with a few excellent restaurants and stunning views. The most popular seaside resort on the southern coast is the town of Agia Galini. 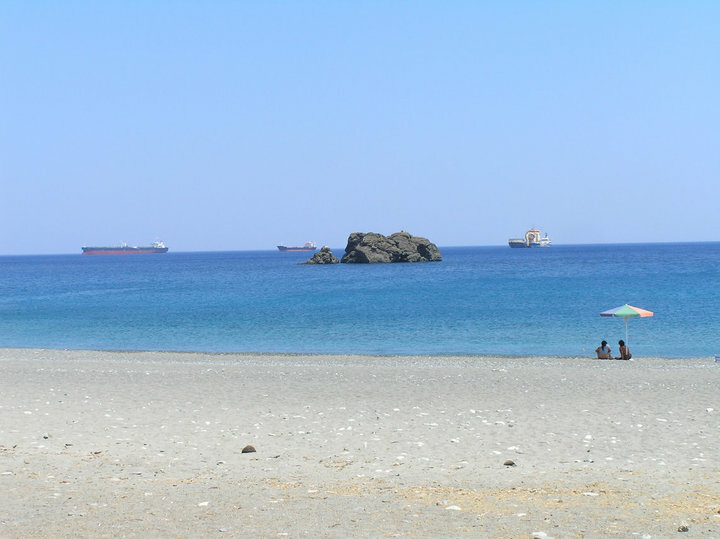 The majority of this region’s beaches are along the southern coast stretching westward fro Agia Galini. It is a matter of personal taste which among these small coves will appeal to you, the best way to explore them is to rent a car and drive along the coast. One of the most unique beaches in south Rethymno is that below the Preveli Monastery where a river winds down to meet the sea. 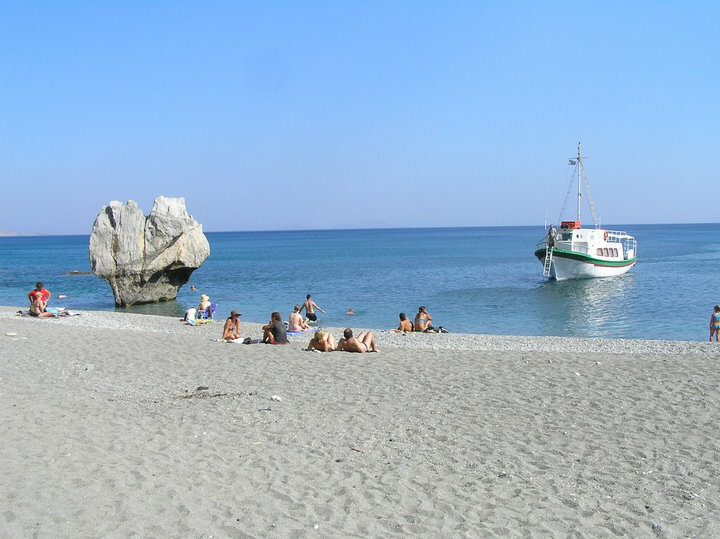 The easiest way to reach it is by boat from Plakias which also has a nice sandy beach or from Agia Galini. Chania region is famous for its natural beauty and diversity; the same is certainly true of its beaches as well. Most of the beaches around Chania City and along the northern coast are organized and accessible by bus. On Stavros beach the movie Zorba the Greek was filmed! There are some surprising exceptions however which require a 4x4 vehicle and a well stocked cool-box to visit. One stunning beach, worth renting a car for, is Elafonissi Beach located on the island’s south-western tip. There is tourist bus service but the bus departs before the highlight of the day – Sunset! 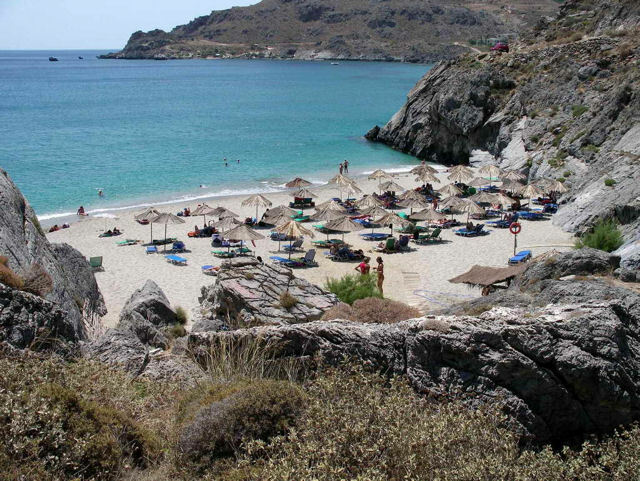 It is a gorgeous drive along the coast and there are plenty of little taverns along the way, as well as several other beaches such as the Kissamos area. The best time to get to Elafonissi is after 4pm when the crowds leave. 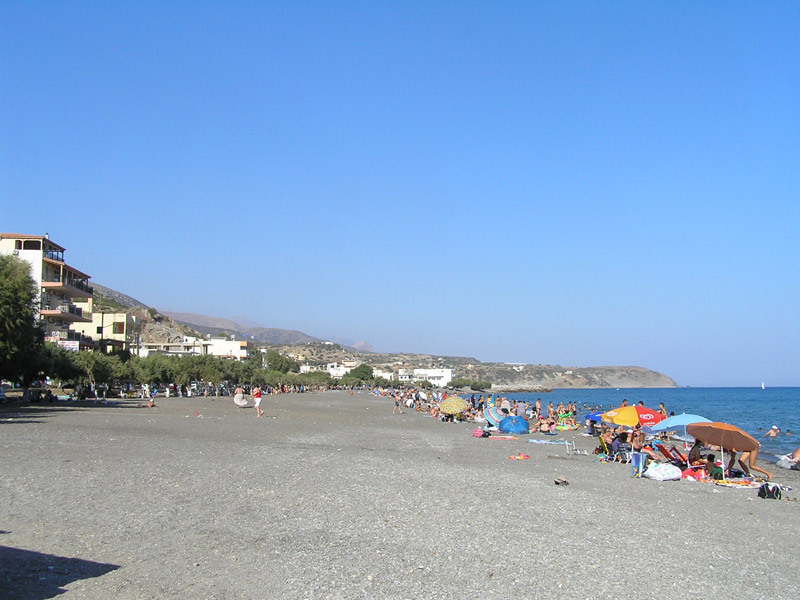 Agia Marina and Platanias both offer long sandy beaches and lots of resort hotels for those who like people watching. For those in search of more solitude and natural beauty there is nothing like the southern coast of Chania. 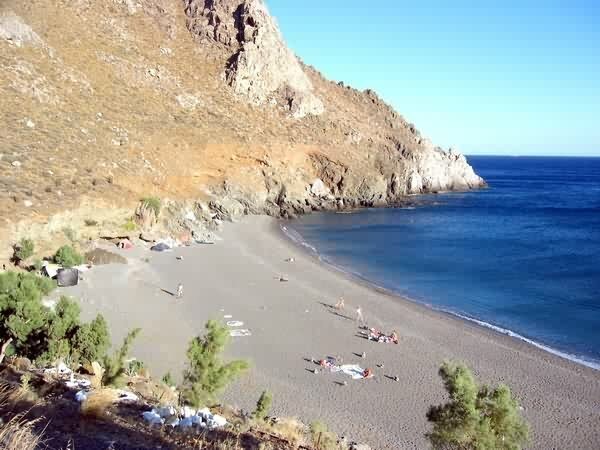 Around Chora Sfakion there are a number of beautiful beaches like Agia Roumeli which is the mouth of the famous Samaria Gorge. Many of the beautiful beaches along this coastline are only accessible by boat or some serious hiking, but it is definitely worth staying a few days in one of the villages to experience the area’s wild natural beauty.